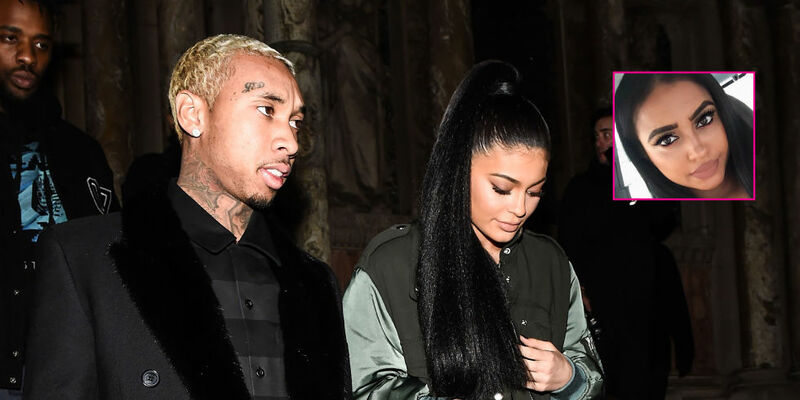 The Courier Mail reports that Tyga allegedly partied in Australia with a woman who looks a lot like his girlfriend Kylie Jenner but who, in fact, is not his girlfriend Kylie Jenner. Oh, Tyga. The rapper was in Brisbane sans the ol' ball and chain — aka his 18-year-old super famous lady — for a show when he allegedly started exchanging info on social media with Tiffani Kathleen Birdas. Birdas, a coffee shop employee and obvious long lost 6th Kardashian daughter (Kris! Be honest! Did you have an affair with Crocodile Dundee?! ), said Tyga contacted her via Instagram ahead of his show. According to her, they exchanged info and he invited her to enjoy the event from the VIP section and then attend an after party at a nearby bar. Before she entered the party, Birdas says her phone was confiscated and she had to sign a non-disclosure form. Very normal party behavior. "It was like a dream. Tyga was lovely, he was really relaxed and chilled and really humble," Birdas told The Courier Mail. "There was no talk to Kylie or the Kardashians or any family stuff," she added. She says she was then "chosen" to go to Tyga's suite, along with 10 other women, although she was clear there wasn't any funny business. "There was girls grinding on guys but I didn't see anyone hooking up," she said. If this is true, it isn't the first time something like this has happened. When it comes down to it, it sure does seem like Tyga has a thing for young girls who look just like his girlfriend.